Somewhere between 1242 and 1246 the Moors took possession of this then small-fortified hamlet and placed it under the control of nearby Silves. The fishing location was later formally declared a town to be severely destroyed by the earthquake of 1755. It was in this town in 1797 that the notorious bandit José Joaquim Sousa Reis known as Remexido was born. Commanding a fierce band of followers his acts are recoded as being a mixture of good and bad legends. 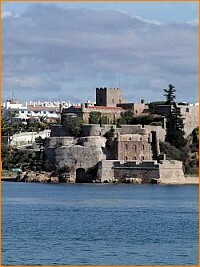 Most of the Algarve and also to the north in the neighbouring Alentejo district suffered by his band of brigands. He died before a firing squad in Faro in 1838. The village of Ferragudo is located to the west of Lagoa on the edge of the river, Rio Arade, opposite the town of Portimão. Romantically said to have once been the home of local pirates this place has retained much of its Portuguese flavour, and as yet, it has not been too influenced by tourism. During the summer on weekend evenings the main square is filled with the sound of music and laughter as the locals and tourists dance the night away. 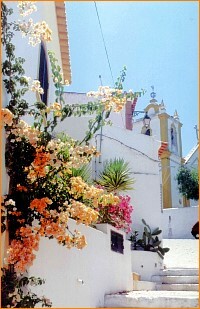 The nearby village of Estombar has a history dating further back to when the Moors occupied the Algarve. It was the home of the famous 11th Century Arab poet “Ibn Ammar”. Many local legends exist and there are reputed to be subterranean passages from near this town going inland for about 12 Kms. to the ancient Moorish capital of Silves. Near to Estombar is an area named Sítio de Fontes that has for centuries been a popular swimming spot due to two freshwater springs that provide a small lagoon prior to joining the Rio Arade. The authorities have now created at this attractive area an open space for performing plays and general picnicking. To the east of the Ferragudo is the once small fishing village of Carvoeiro that today is an area of expensive villas, comfortable holiday apartments and golf courses. To the east is the small and attractive village of Porches that dates back to the Roman period. Unfortunately, the earthquake of 1755 destroyed its ancient castle and also the original parish church that is believed to date to the 16th Century. Also to east is the administrative town of Lagoa.